If there was ever a film Ann Dvorak deserved an Oscar nomination for, it’s A Life of Her Own. 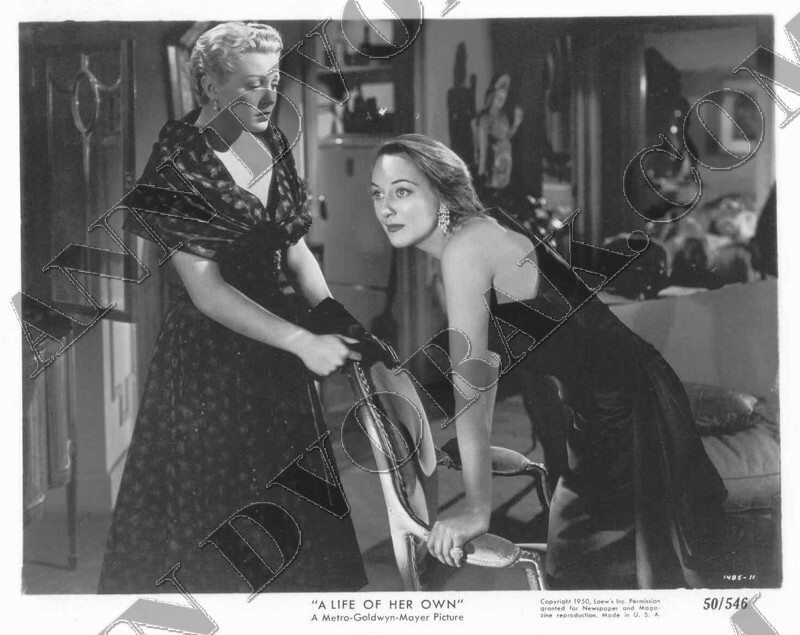 This George Cukor melodrama, starring Lana Turner as an aspiring fasion model facing the hurdles of her chosen profession is drawn out and hard to get through, but contains one of Ann’s most memorable performances. As Mary Aslon, a washed up model in the process of crashing and burning, Ann has very little screen time (a friend once clocked all her scenes as coming in at under ten minutes total), but her presence resonates throughout the entire film. Turner may have been the star of this movie, but Ann Dvorak walks off with it. Her wiry thin frame and elegant posture make it easy to believe she could have once been a top model, but her desperate drunken pathos lets us know right away that she is not long for this world. When she does make the big plunge out of a high rise window (shades of Three on a Match), we are still shocked by this abrupt demise and spend the rest of the film wishing she had survived the fall. By the time Ann Dvorak was cast in this M-G-M production, she was almost forty and had been making movies for over twenty years. This is the performance of a seasoned professional at the end of her career, but it leaves me wishing she would have stuck around a few years longer. She certainly should have been nominated. It is a rich, energetic, multi-layered performance. If Nina Foch could win Best Supporting Actress for the later “Executive Suite” you’d think an extraordinary performance as Dvorak’s Mary Aslon would at least be in contention. Perhaps she too was disappointed and retired not long after because of this slight. The movie ended up being such a dud that I doubt she would have expected a nomination. We don’t know for sure, but she may have just been tired with the industry in general and was ready to stop.